At Fitzgerald Moving & Storage, we know that every move is unique. We go above and beyond to ensure your move is a success as we plan your relocation with precision and provide all of our customers with a custom moving plan tailored to their needs. Our moving teams are experienced in dealing with equipment specific to laboratories, including high value research and medical equipment, and understand the importance of careful packing and moving in a laboratory setting. 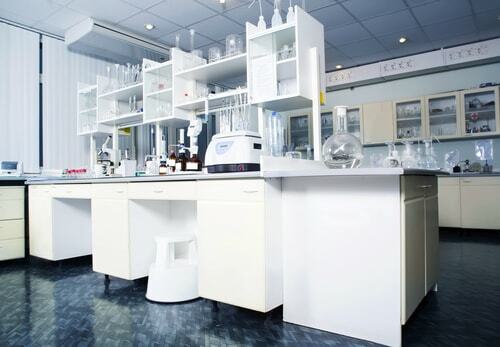 With Fitzgerald Moving & Storage you can relax in the knowledge that your laboratory equipment will reach its new home safely and efficiently, so that you can set up your new lab and continue your vital work as soon as possible. The Fitzgerald Moving & Storage team members are experienced in moving laboratories of all sizes out of and across the Washington metropolitan area, and understand the unique moving needs of laboratories with scientific and medical equipment. Laboratories are full of fragile, expensive specialty equipment that needs to be treated with care throughout the moving process. We thoroughly inspect every item we move before and after relocation to ensure everything arrives at the destination in the same condition. Trusted for over 35 years by the Washington metropolitan area community, we are dedicated to providing the very best in commercial moving services, at competitive prices. Contact Fitzgerald Moving today to receive your free quote, for more information on the commercial relocation services we provide, and for guidance on how best to prepare for your move.